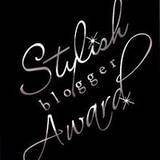 I've seen this award around blogland for a while, and I am honored that it was passed along to me. Thanks to Organizing Made Fun! Thank you so much to My Home Road for the nomination! and also to Moo Moo & Tutus for the second award! 1. First and foremost, I am a child of the Almighty God, who has blessed me beyond measure! 2. I am married to the man of my dreams & he treats me like a queen - Love Him! We dated (long distance) for 4 months before we became engaged and were married 4 months later. That was 12 years ago and I Love him more today than ever before! He is a good MAN! 3. My hubby & I have 4 handsome sons and they are the joy of our lives and are growing up way too fast. 6. Last night, I spent an evening out with my mother & 3 sisters, which is very rare. 7. At the moment, I am enjoying a winter wonderland. Great job on your Stylish Blogs! I love these sites and they are "must reads" for some truly great inspiration! DaNita... Thank you so much. I am truly grateful and happy to accept this award from you! Congrats! You deserve it! I love your blog! Delightful:) I think you truly deserve it! Congrats - I was thrilled when I found your blog. Full of tons of inspiration! Congrats- to you! Thank you for the acknowledgement. Awe WOW! Thanks so much for passing the award on to me! Such a treat, I am so grateful! Thank you so much DaNita! I appreciate it!